The safety of you, your home and your possessions are of paramount importance. Regardless of whether you need tree removal, tree cutting, a storm clean-up or a simple tree inspection, our tree cutting professionals will be happy to tap into our 100+ years of combined experience to get the job done quickly and affordably. When you need tree services, you need to call in the experts.Our clients enjoy top quality tree care at competitive rates, and we pride ourselves on operating with full honesty and integrity from start to finish. That means no hidden fees, no scary additional charges and best of all, no massive premium to have the best tree care company in NYC handle your property! We look after homeowners like you, and we value your business. You can trust us to show up on time to conduct industry best practices and free you from your problem trees. To speak to one of our experts and to book an initial tree inspection, all you need to do is call us now at (347) 978-7040, and we’ll advise you on the best next steps. Why Choose Us for Your Tree Service Needs? • Our vision is simple. We love trees. We want our clients to experience the beauty of their yard and neighborhood, clean air and a better environment, and we strive to make the city a better place to live. 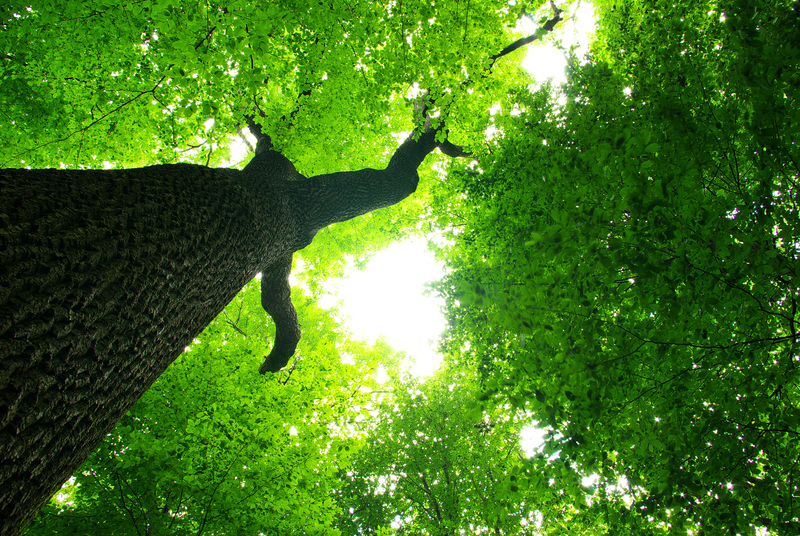 Our team has a combined 100+ years of experience in tree care. They are real experts in this field and aim to do an immaculate, hassle-free job each time. We own all our equipment and heavy-duty machinery; we don’t rent it. That means we’re free to pass those savings on to you and offer a premium service at an affordable price. We’re honest and upfront about the cost of your job. While other tree service businesses look for any opportunity to hit you with additional charges, we will give you a quote and stick to it. We want you to be so satisfied with our work that you refer your friends and keep coming back to us year after year, so the price we say is the price you pay. We’re fully licensed and insured. Working with trees and specialist equipment, and often at great heights, is a hazardous business, but you can sleep easy knowing our professionals are licensed to perform their duties at all levels of difficulty. In turn, we have millions of dollars’ worth of insurance coverage. Every part of the process is covered in the event of any unexpected accidents or damage taking place while we’re working. We work with maximum safety in mind. Careless tree work can lead to disaster, so the safety of you, your home and our team is our number one priority. We know what our clients deserve. Not only will your home be free of any problem trees that are either dangerous or unsightly, but we will also leave your home in clean and pristine condition before we go. Want the best tree handlers to take care of your yard? Call us now at (347) 978-7040, and we’ll rush a local tree expert to your home for a free inspection at your earliest convenience. A lot of the tree removal work we do is due to a critical emergency. When a tree is ready to fall, you don’t get much notice. In a matter of minutes, you could be facing a real problem that will undoubtedly leave you feeling unsure and overwhelmed as to what to do next. We fully understand how stressful a tree accident can be and know exactly what’s needed in an emergency. So, if you are facing a problem tree and time is of the essence, give us a call as soon as possible so we can address the situation before it gets worse, (347) 978-7040. We are here to serve our clients 24 hours a day, seven days a week.It doesn’t matter what time of day it is or where you live in New York; one of our experts will take your call and try to reach your home within 30 minutes. No job is too big or too small for us to handle. All we need is an understanding of the scope of your problem so we can show up with the best equipment, machinery, and personnel for your job. Remember, we’re fully insured and equipped to deal with anything nature throws at us! Clients often come to us to clean-up the aftermath of a storm. We remove any fallen trees, clear away toppled branches and restore peace to your yard after being attacked by a vicious cycle of bad weather. We can also do a full inspection to see if any of your trees are vulnerable to the next storm. By identifying trees that are in ill health, structurally on the decline or susceptible to falling in poor weather, we keep homeowners physically and financially safe from life’s unexpected disasters. We offer a fast and effective solution to tidying up at the back end of terrible New York weather and can have your job scheduled and completed quickly when you call us now at (347) 978-7040. Every job is different in terms of size and scope so we need to evaluate what needs to be done before we can offer you an accurate quote at competitive New York rates. Yes! You’ll never be left with sticker shock when you receive our invoice. The price we quote you is always the final price you will pay. Can I Leave My Home While You Do the Work? Of course. We’re professionals who strive to cause minimal disruption to your life and your neighbors, so you can trust us 100% to look after your home and treat your yard as if it was our own, regardless of whether you’re at home, at work or out running errands. Emergencies are always a priority and done at our next available opportunity. For jobs that aren’t critical, we’ll have you scheduled in when it suits you best, which is typically within a few days or weeks. Can I See Your License & Insurance Information? Yes. Upon request, we can show you that we are fully licensed and present you with a certificate of insurance, so you have total peace of mind and confidence in us to serve you well. When you review this documentation, you’ll see that we are insured for millions of dollars for any liability, and our employees, vehicles, and equipment are protected too. In other words, should anything go wrong while we’re working on your property at great heights, suspended several hundred feet above the ground with heavy machinery, you will be covered. This is hugely important because hiring a contractor who does not have a legitimate license or insurance can leave your wallet vulnerable. For example, if damage occurred on the job, such as a broken shed or pool, a shattered window, or other disrupted features of your yard, you could be left liable for those repairs out of your pocket if the contractor does not carry the correct insurance. Of course, you could try and recover the costs by filing a lawsuit or claim for the damages through your insurance (significantly raising your premium in the process), but neither of these situations is ideal for clients who expect their job to be done efficiently. When you hire us, you will be completely protected because we want the best for your home and know that giving our clients full confidence in our team isn’t just the right choice for them, it’s the only choice. Where Can I Have My Questions & Problems Addressed? The easiest way to reach us is always by phone. We have someone ready to take your call and address any problems or questions you have 24/7. Both you, your family and your neighbors benefit when your yard is full of healthy trees, so let us serve you with our state-of-the-art tree care expertise. Pay the lowest price for a premium service and experience total satisfaction when you hire our fully licensed, insured and highly skilled experts to do your next job. We’re waiting for your call and are ready to send the best tree care professionals in NYC to your home to give you a free, no-obligation quote! Tree Removal NYC, the NYC tree removal company can help keep your trees strong and healthy. Our local tree company can provide you safe and affordable tree removal services. We are dedicated to providing the best tree removal service in NYC. Our top priority is to provide safe tree removal service at the most affordable rates. No matter if you are in need of tree removal or just want your tree inspected, our NYC Tree Removal Services company is just a phone call away!